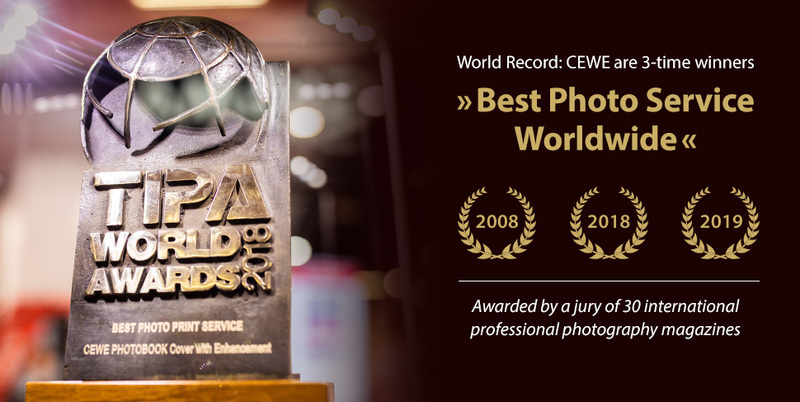 CEWE, Europe’s leading photo finisher, has been awarded a TIPA World Award for the third time – and for the second time in a row. No other company in the industry has won over the international jury of the Technical Image Press Association (TIPA), in the category of “Best Photo Service” as often. After receiving the distinction for the CEWE PHOTOBOOK in 2008 and for the Hardcover Highlights in 2018, this year the company receives the award for its hexxas hexagonal photo tiles. Moreover, this year’s award is a very special accolade for CEWE because the idea for hexxas developed thanks to the initiative of employees within the company. “Receiving the TIPA World Award 2019 is therefore not only an honour for our product, but rather for all of our employees who lent their support to hexxas,” says Dr. Christian Friege, CEO of CEWE. The now award-winning hexxas, lets you make a stylish work of art using personal photos. You can use the hexagonal photo tiles to create a collage or a multi-part image with its own one-of-a-kind format. The jury, made up of publishers from 30 globally renowned photo magazines, reached a final verdict: “Home and office image displays have a new concept with the hexxas tile arrangement…A magnetic hanging system allows for positioning in any arrangement for exciting theme collages.” Widely recognised as the most coveted photo and imaging awards worldwide, the TIPA World Awards recognise industry companies and their products, helping consumers make their photo and imaging equipment buying decisions.